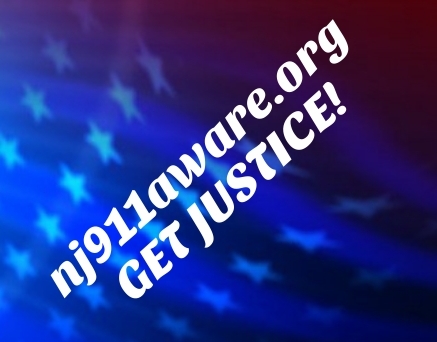 9/11 Justice in Focus! An Unprecedented Event! 9/11 Justsice in Focus! An Unprecidented Event! Richard Gage, AIA, is a San Francisco Bay Area architect of 28 years, a member of the American Institute of Architects, and the founder and CEO of Architects & Engineers for 9/11 Truth (AE911Truth.org), a 501(c)(3) educational charity. Since AE911Truth was launched in 2006, nearly 2,500 architects and engineers with verified academic degrees and professional licenses have signed its petition calling for a new, independent investigation—with full subpoena power—into the September 11, 2001, destruction of the World Trade Center Buildings 1, 2, and 7. The organization also represents more than 20,000 non-architect/engineer petition signers, including scientists, attorneys, and other responsible, educated citizens in the US and abroad. All signatories of both AE911Truth petitions cite what they believe is overwhelming evidence pointing to the controlled demolition of the three WTC skyscrapers. Les Jamieson has studied the alternative research into 9/11 since November, 2001 and been extremely active in the 9/11 truth community since January of 2004. Les attended two of the four 9/11 Commission hearings, and five of the eight hearings by the NIST investigation into why the buildings collapsed, which has given him an up close realization of the depth and scope of the official cover-up. Les has been central in planning large 9/11 symposiums every year since 2004 in New York City. Throughout 2014 and 2015 Les led many outreach actions at the 9/11 Memorial & Museum. Since October 2014 Les has spearheaded an effort to generate grassroots support for legislation to release the 28 pages from the Congressional Joint Inquiry on 9/11 which did occur on July 15, 2016.